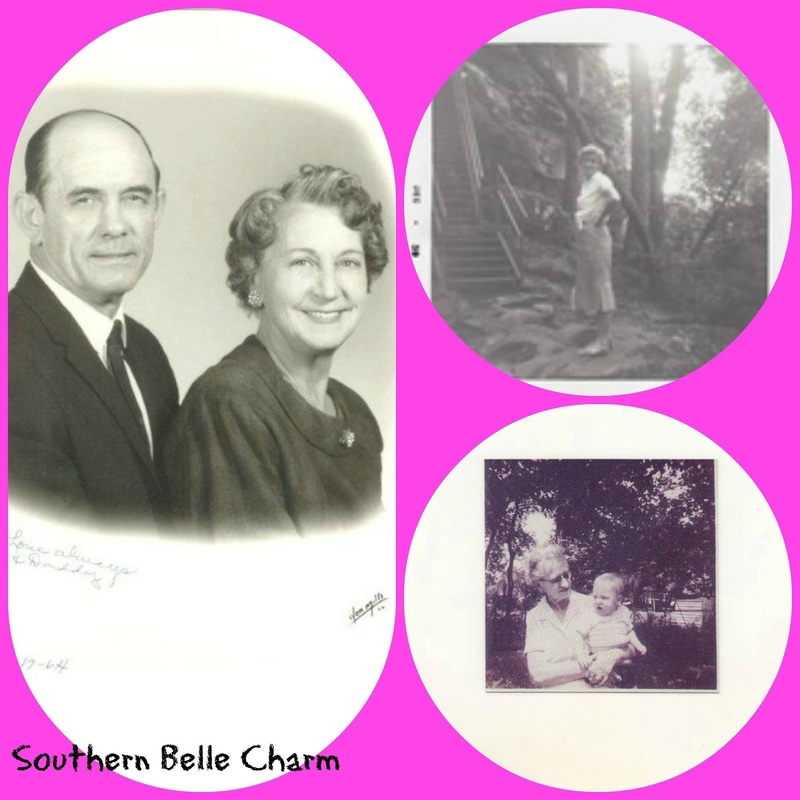 Did you know yesterday was Grandparents Day? I actually didn't know specifically when it was and now I feel bad because my parents were in town and we didn't even get them a card! I even had a project ready to celebrate Grandparents Day and to fit with the #BlogWithFriends monthly theme of Grandparents. I've heard that being a grandparent is more fun that being a parent. 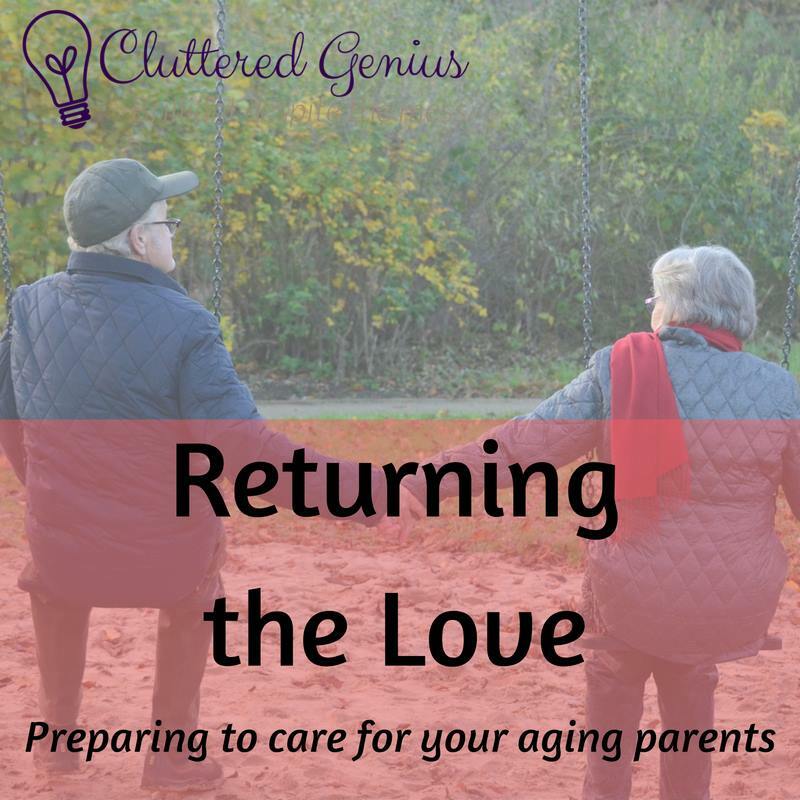 You can play and have fun and spoil the grandkids and then give them back when they get tired, cranky, or dirty! That's not completely true in my experience. My mom does a great job of keeping the kids clean, well-fed, and happy. Most of the grandparents I know love to take pictures of their grands. My mom has several albums of my kids' pictures, and she's made some for the kids to keep after their adventures with her. 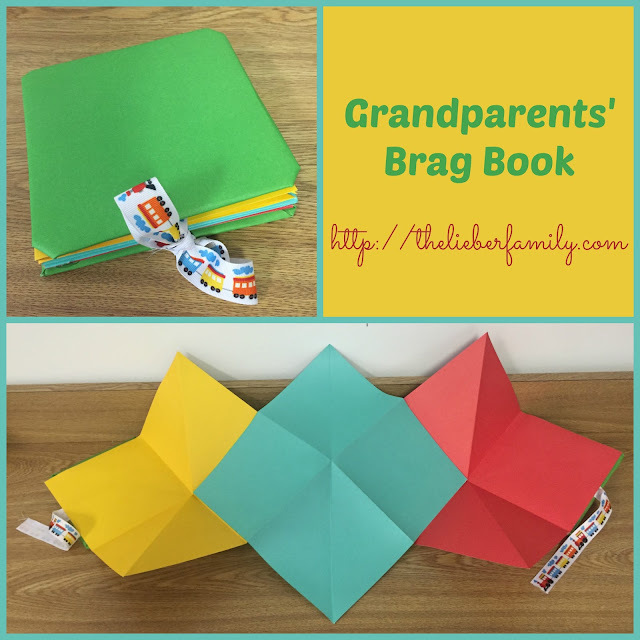 Today I have a project for a cute brag book you can make and fill with pictures and quotes for your favorite Grandma! Five sheets of colored scrapbook paper (12x12). Use any colors you wish, but at least two should be the same for the covers. First cut two squares of the cardboard into 6x6 squares. 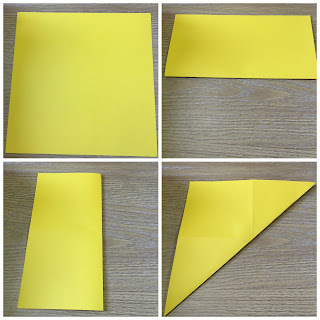 Cover each square with paper and secure with hot glue. Your seams on the inside won't show, so don't worry about lining things up perfectly. Next take each of the three remaining squares and fold it horizontally, vertically, and diagonally; unfolding after each fold. Open the paper and push the diagonal folds inside towards each other. The top and bottom of each square should be un-creased. Slide the top of one into the bottom of another and glue them together with your glue stick. Do the same with the third. Let the glue dry and then open it up. It should unfold out, accordion style. Next cut your ribbon into two pieces 12-14" long. Place each ribbon on the inside of each cover and secure with hot glue. Now glue the covers to the outsides of the book and let dry. Now you can open and close your book easily, and tie it shut when not in use for bragging about the grandkids! 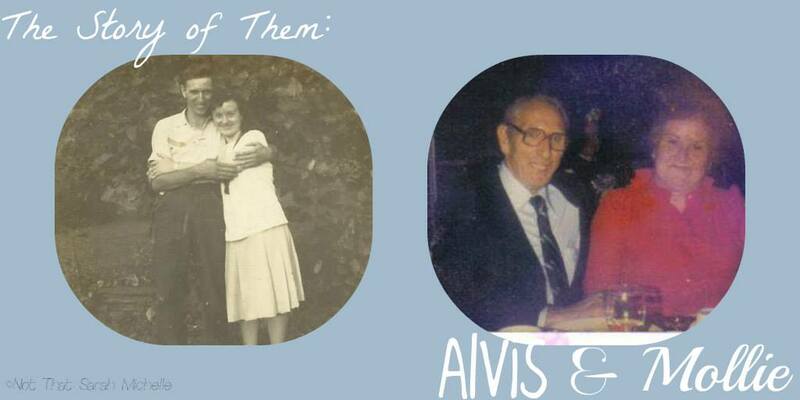 Want to see some other posts celebrating grandparents? Check these out! 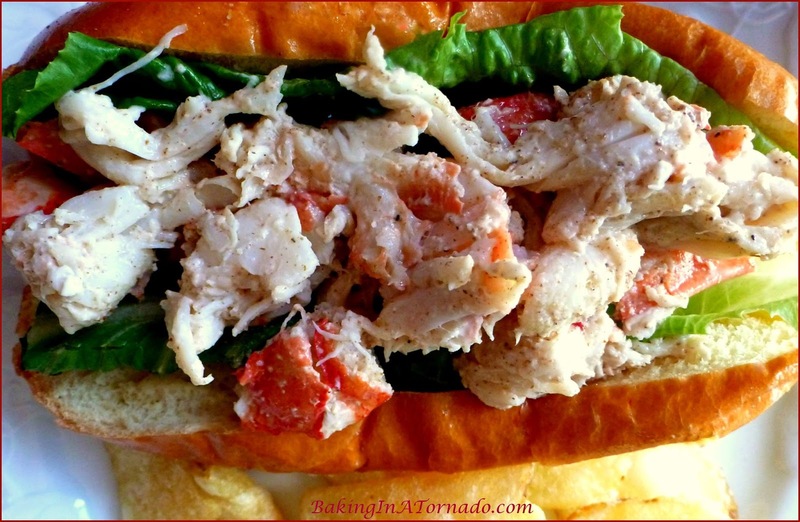 Karen has Grilled Lobster Crab Rolls. 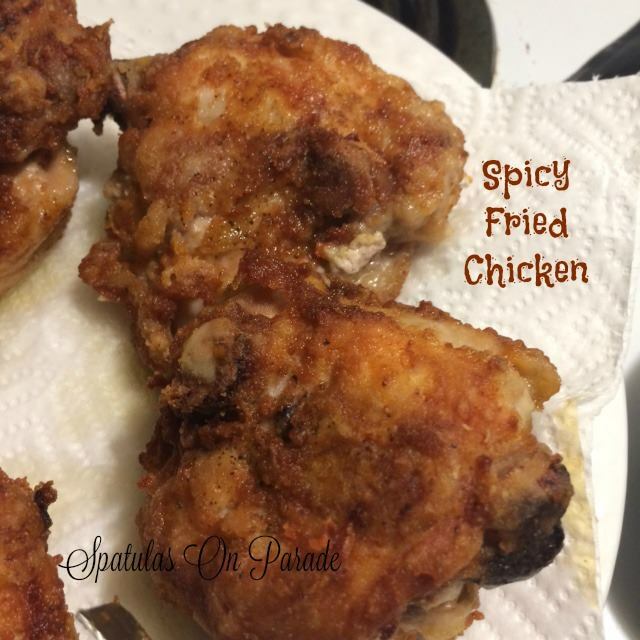 Dawn has some spicy fried chicken. Minette has an orange cake recipe. Sarah has the Story of Them. 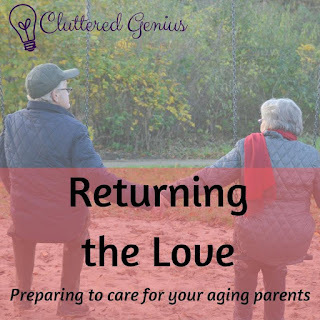 Lydia has some tips for getting ready to care for your aging parents.